It is said that talking about food grows an appetite. 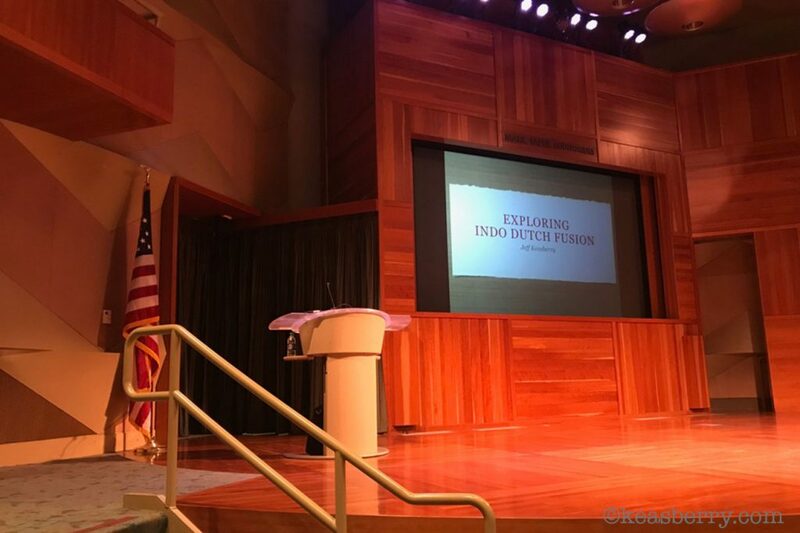 I recently had the privilege to speak about Indo Dutch culinary at the handsome downtown Los Angeles Central Library in the state-of-the-art Mark Taper Auditorium on December 8th, 2018. 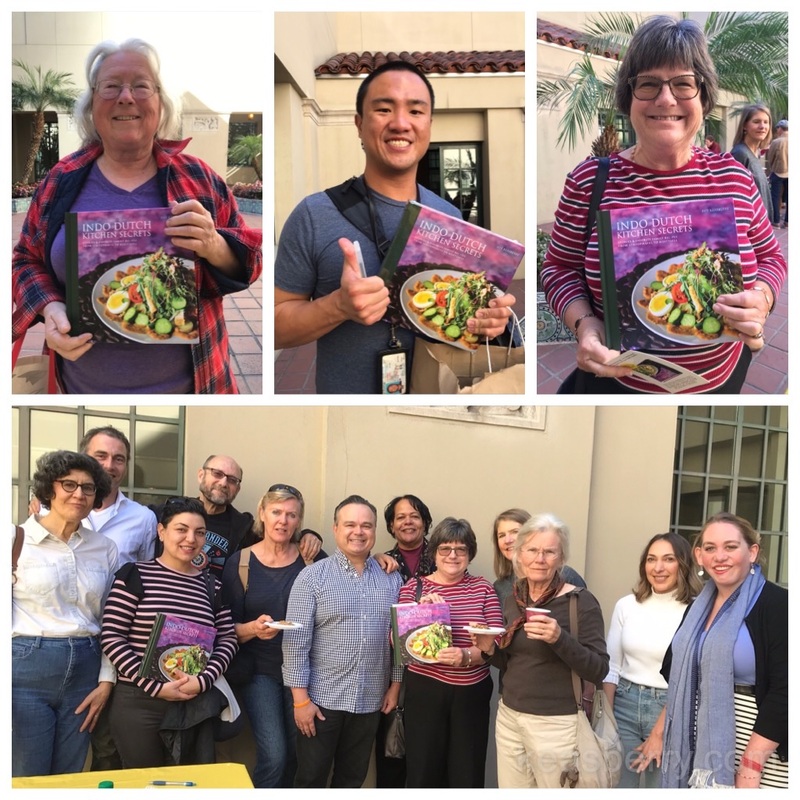 At the end of the lecture, the majority of the audience (members of the Culinary Historians of Southern California – CHSC), including myself, were looking forward to the reception with Dutch themed refreshments. A team of volunteers had baked a traditional Dutch Apple Slap Pie. It was delicious! I was recommended to speak by Richard Foss, a walking encyclopedia on the culinary and responsible for events at the CHSC. He had invited me to talk at the library in Pacific Palisades a year earlier. Richard is a big fan and connaisseur of Indonesian cuisine and had shown a special interest in the Indo Dutch sub-culture. Besides a good meal, I have a craving for understanding, connecting and making good conversation. How about you? 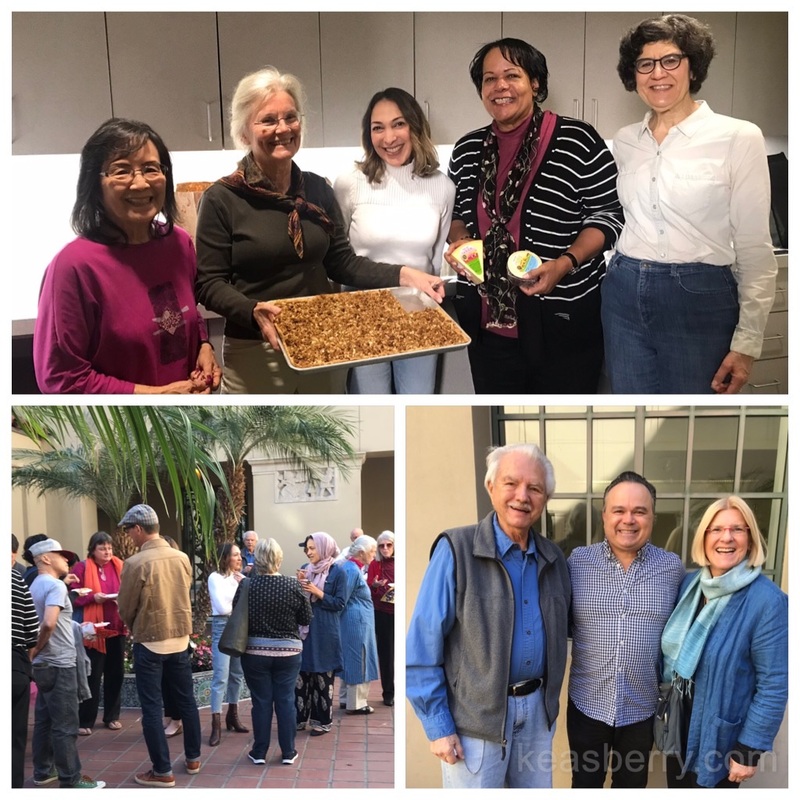 It was a great experience to meet people with a similar appetite at the Culinary Historians of Southern California (CHSC). It was great to meet Nancy ZaslavskyI, Vice President Program Chair and Charles Perry the President. I became a CHSC member. If you are interested to learn more about CHSC, click here. In the 17th century, the world’s spice trade was focused on Indonesia, the only source for cloves, mace, and other seasonings that were worth their weight in gold in Europe. The Dutch colonized those islands for over 350 years and over that time a hybrid community evolved and a vibrant fusion cuisine developed with its own food culture and traditions. Historian and author Keasberry explains how it all happened and why Indonesian food is still the most popular food in The Netherlands. On January 27th we organized a special event for CHSC members-only: Rijsttafel lunch with Jeff Keasberry. We had a full house with 42 guests. It was also the official kick-off of the Rijsttafel Club – a culinary experience you can sign up for. We will have periodic Rijsttafel luncheons in LA in 2019. If you want to be on the invite list, click here. 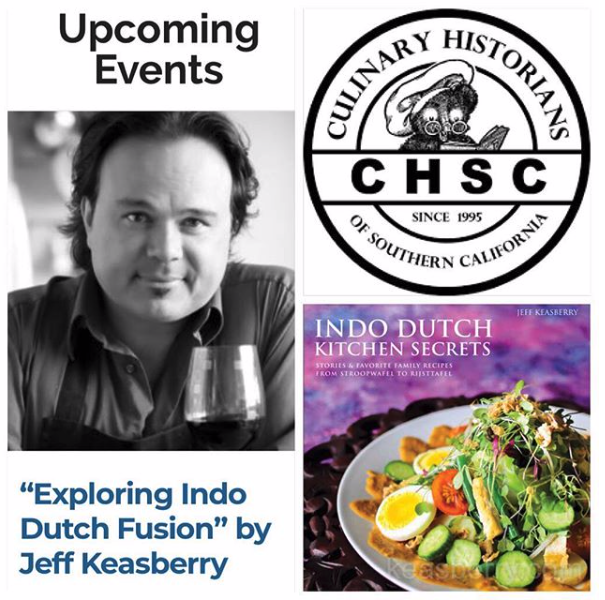 If you are interested in having me speak about Indo Dutch culinary at an event, please send an email to info @ keasberry.com.